One of the easiest ways to add texture, color and contrast to a room is with floor covering. 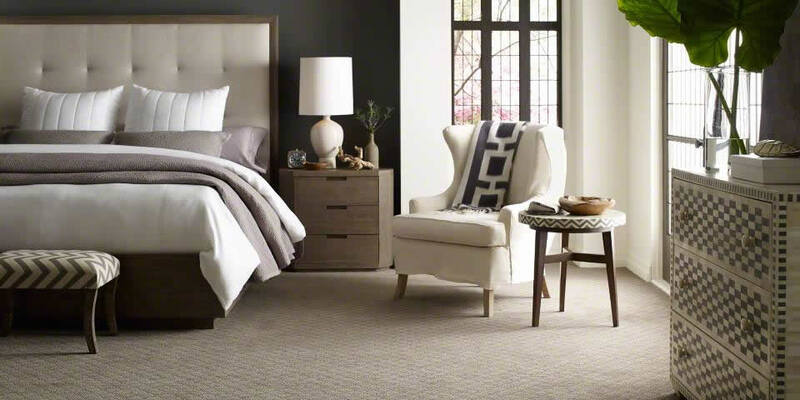 This expanse of space can be emphasized for a strong statement or softened to quiet a room that is otherwise busy. Today the homeowner has many choices for flooring in their home. In fact, with so many materials to choose from, it can get pretty confusing when making a decision. Romans' designers will be happy to discuss the different options and help you choose the best floor for each room in your house. In the room below they have created a wood floor with a carpeted insert that coordinates with the furniture and shades. Without a doubt, carpeting offers homeowners more warmth and softness than any other floor covering. The vast array of styles, colors and textures blend well with any home decor and with a variety of other flooring products. From traditional, to country, to formal you can always find a carpet that will enrich any interior setting and give you years of satisfaction. The most popular type of resilient flooring, vinyl is durable, low maintenance, and easy on the budget. Designed to closely resemble hardwood, vinyl planks come in the same size as wood planks, and boast realistic features such as texturing and beveled edges. 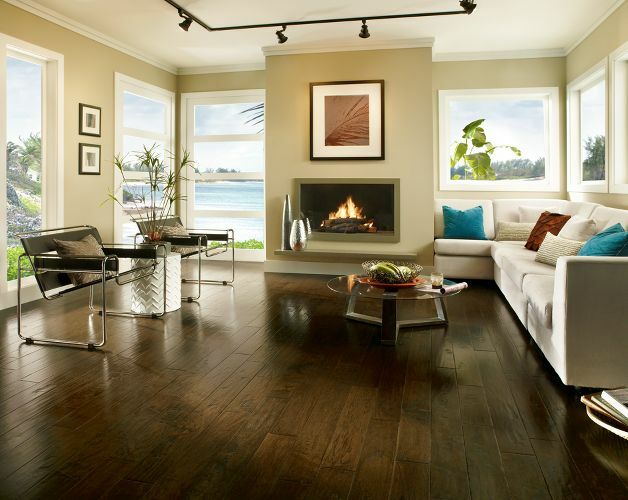 The elegance of a Bruce® hardwood floor adds warmth and character to any room in a home. Harkening back to an earlier time, these floors are elegant and distinctive. With the growing demand for hardwood floors, manufacturer's are able to produce better quality finishes and superior construction techniques. 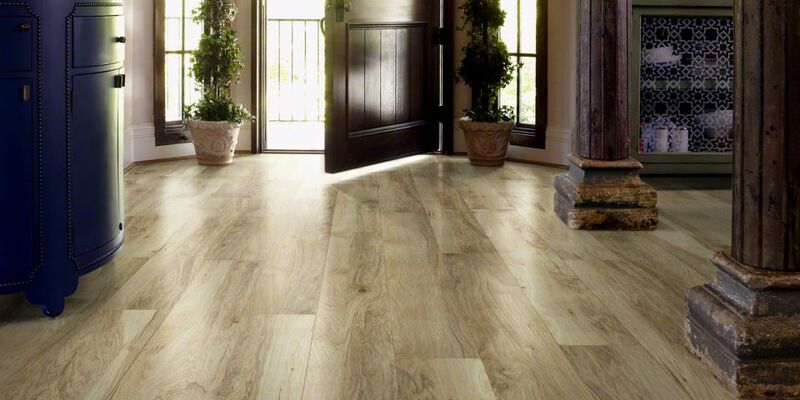 Wood floors can now be installed throughout the home and over a wide variety of sub floors. For those who want the beautiful appearance of a real hardwood floor combined with exceptional performance that will holdup from the wear and tear from kids, pets, and spills Romans offers Shaw Laminate Flooring. Laminate floors have good performance characteristics and are often confused with real hardwood floors. They are a good choice for many homeowners because they do not require the upkeep of a traditional wood floor. Romans understands how difficult it can be to make a decision on your flooring needs, but they are always willing to give you suggestions and advice in this critical decision. Please stop by the showroom to talk to a designer today.